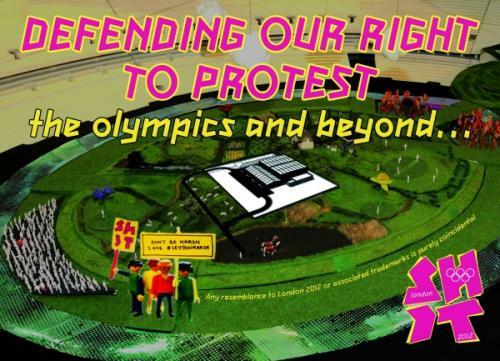 David Mead, in an interesting post – here – about “publicness” in section 6 of the Human Rights Act, looks at a case in which the Olympic Delivery Agency got an injunction against protesters: Olympic Delivery Authority v Persons Unknown . The ODA was a public authority, and the protesters were advancing defences under Articles 10 (freedom of expression) and 11 (freedom of association). Arnold J dismissed the defences on the basis that these rights needed to be balanced against the ODA’s rights to property under A1P1. As Mead points out, the judge was probably wrong to do so. On the face of it, the ODA had no rights under the Convention, under A1P1 or otherwise, because it was a public authority, and was likely to be acting as such in its protester-clearing role. One can perhaps save the judge’s blushes, by a slightly different route. The right of free speech under Article 10(1) has to be balanced against the protection of the rights of others under Article 10(2), and the latter would cover the ODA’s property rights which it was enforcing. But the more fundamental question is why public authorities (think local authorities or NHS Trusts) cannot complain that they are HRA victims. After all, they can be unfairly dumped on by central government, can be lied about, can have their finances cut, their functions or their premises taken away (hospital unit closures), can receive an unfair trial, and ultimately lose their “life” in some governmental reorganisation. Now Strasbourg is only concerned with one defendant, the contracting state. So the distinction it draws is between a non-governmental organisation (who can sue) and a governmental one (who can be sued). It has been faced with cases with a bit of both in them, e.g Transpetrol v Slovakia– read judgment and Rosalind English’s post here – 51% stated owned company could not be a victim. But it has set its face against deciding that local government can complain about violations: see Ayuntamento de Mula. In the jargon, these are “core” public authorities. But s.6(3)(b) HRA also includes as a public authority “any person certain of whose functions are functions of a public nature” – called functional or hybrid public authorities in the cases. Lord Nicholls gave the example of private prisons or regulation in the private sector by entities such as the Law Society. Difficult problems are posed by the public-private mix. A private care home looking after local-authority funded residents is not a hybrid public authority: YL v. Birmingham City Council. But a registered social landlord when terminating a tenancy is: Weaver. Mead goes into more detail on these tricky issues in the context of the ODA and its various functions. Back to the problem of local authorities or NHS , and their potential grievances about not having an HR claim. In reality, this is not a problem. First, they are able to bring judicial review proceedings, if they have been dealt with in an unfair way, say, by being insufficiently consulted upon (think hospital closure cases such as Royal Brompton, discussed here). Second, they can always complain to a court about the legality of any measure which may affect them. More conceptually, however, as Laws J put it in Fewings  1 All E.R. 513, such a public body cannot act other than on the basis of a proper, purposive, understanding of its powers and, in exercising its powers, it must always act on its best conception of the public interest, a public authority having “no axe to grind beyond its public responsibility”. So affording these public authorities the right to vindicate their statutory powers and responsibilities in the courts is all they need. And, as the Supreme Court reminded us last week in the Parole Board case, most of the rights protected by the ECHR can be vindicated via the common law anyway. Can a state-owned company be a victim of human rights violations? If public authorities haven’t got enforcible rights, how have they got “rights of others” to balance? Thanks for the mention. Much to ponder here and generally. I wonder whether at some stage we/courts need to revisit the core PAs can’t be victims – and decide whether what is meant is (a) they don’t possess rights or (b) can’t assert rights or (c) both? Not clear in Aston what is meant /is encompassed. Hard to envisage but could arise where the core PA is not a party to proceedings (whether pro-actively under s.7(1)(a) or defensively by relying on them in proceedings brought by another – s.7(1)(b)) but determining the existence and/or scope of its rights is a pre-condition to resolving the extant dispute b/ween X and Y, whoever they may. Your post alludes to this in that the route you propose as a mean to save the blushes of Arnold J presumes there ARE rights that inhere in the ODA – but cannot themselves be asserted. There is an interesting argument / analysis by Howard Davis in c. 2005 CLJ where he re-examines the core PAs can’t be victims idea.